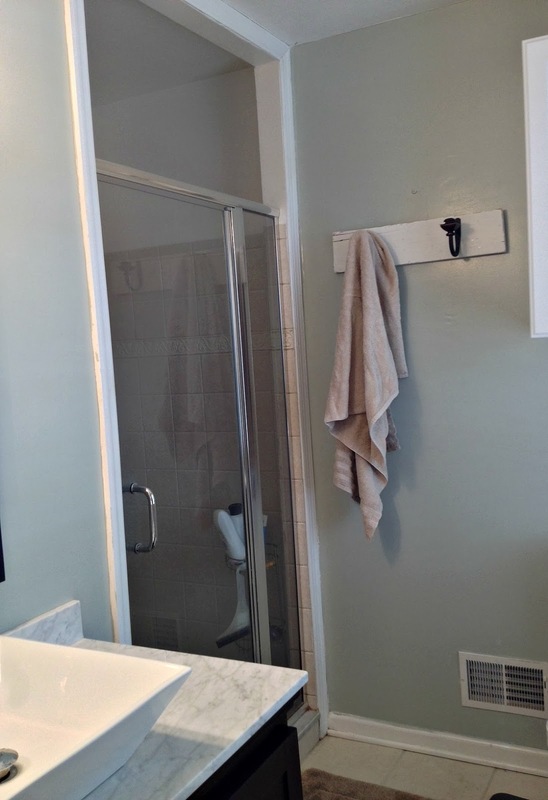 So last week my daughter pulled the towel bar - wall anchors and all - straight out of the wall in our master bathroom. 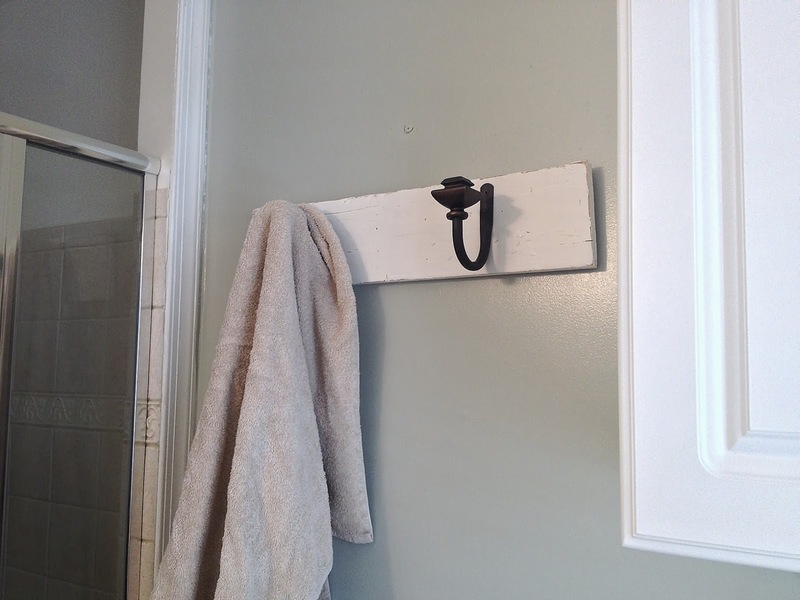 She left a pair of golf ball-size holes in the wall and gave me a perfect excuse to make a new towel hook. 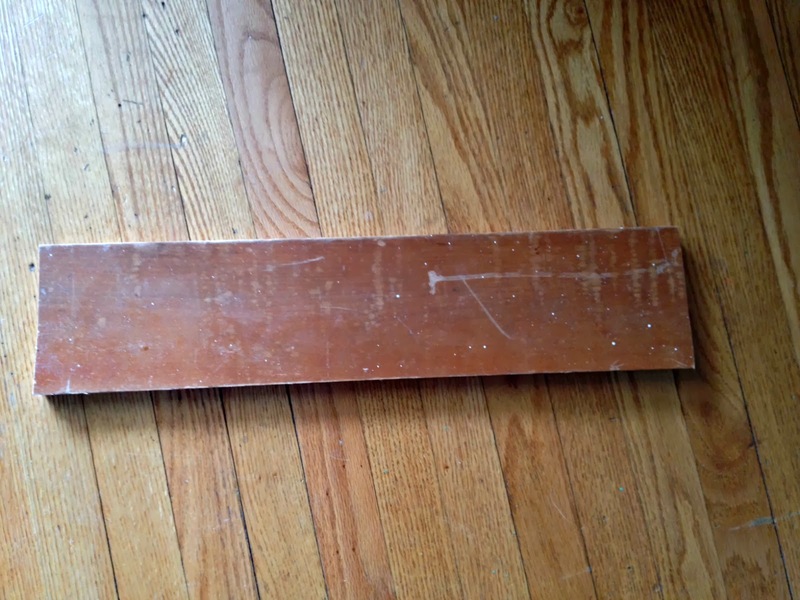 I grabbed a piece of scrap wood from the garage. It was looking a little too 'new' so I beat it up a bit (more on how to make new wood look old in another post very soon). 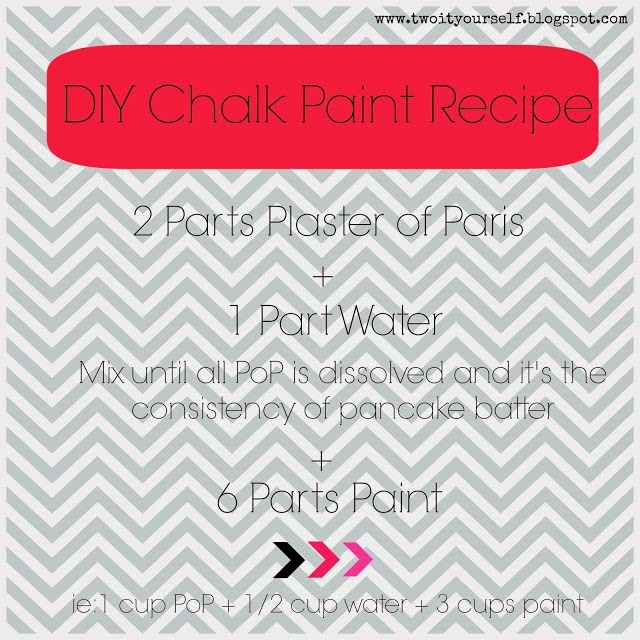 Then I slapped it with some homemade chalk paint. Here's my favorite recipe. 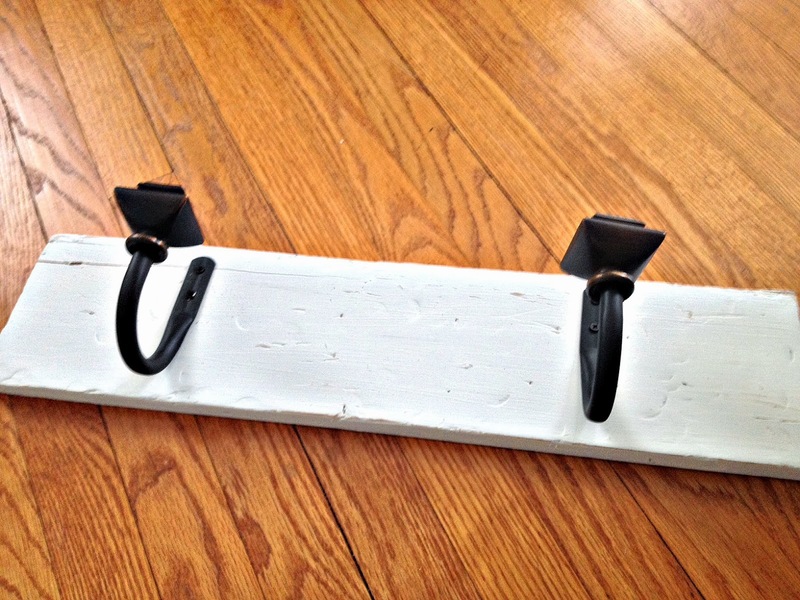 Then I simply screwed the tie backs (aka hooks) into the board. I honestly didn't even break out the tape measure. I just eyeballed it. Can you tell?? 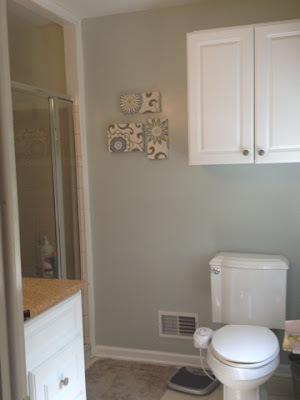 Then it was just a matter of putting two nails into the wall and hanging. 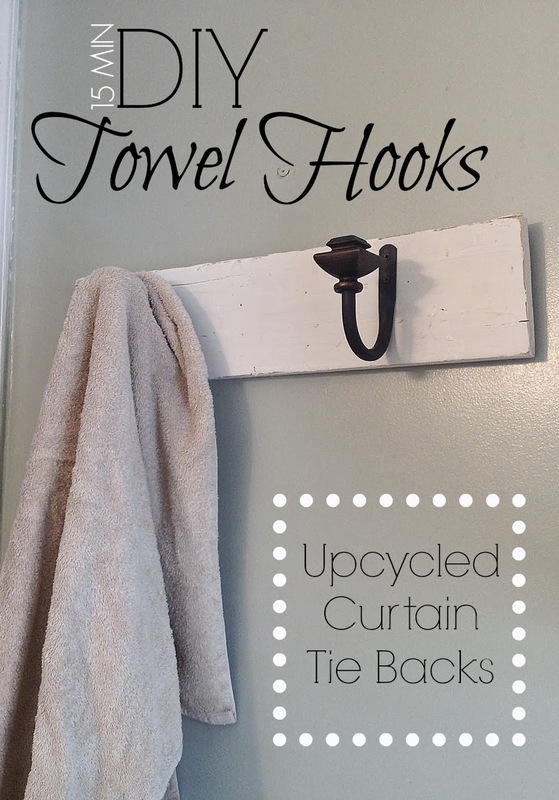 Wam bam thank you ma'am a 15 minute DIY towel hook! 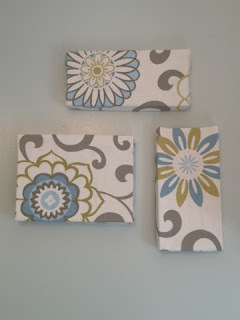 Now I need to find a new place for my fabric covered shoe box lids since I moved the towel bar closer to the shower.